Any of the above – in any combination – no rules – except to have fun! Hop on your broomstick, fly over to Stainless Steel Droppings and sign yourself up! October round up and RIP summary! 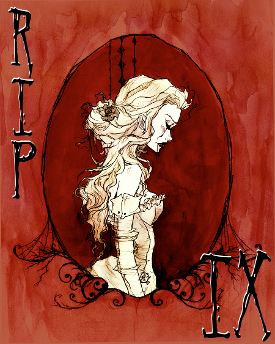 Four vampire stories included – and all completely different styles! Looking forward, November sees the start of a number of sci fi events. This one here is particularly interesting and you might want to go and sign yourself up – looks like fun! As for me, I’m going to mix up my November reads a little (I do have a couple of sci fi novels singled out) – October was a bit of a scare fest so it will be nice to sprinkle some good old fantasy into the mix – starting with The City Stained Red which I’m really looking forward to. 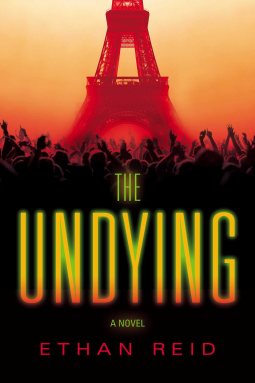 I really enjoyed the Undying. It’s an apocalyptic type story that (after a short prologue) starts in Paris on New Year’s Eve where a group of friends are dining together to bring in the New Year. Unfortunately things don’t go according to plan. Early in the evening a series of strange lights can be witnessed over the City – similar to the aurora borealis – and later on, as the 10 second countdown to the end of the year commences – all the lights go out and the City is plunged into darkness. The following morning it appears that things have not recovered, in fact things have deteriorated further. Jeanie and Ben are over from America for the celebration. On the morning after the ‘lights out’ they begin to discover a little of the nature of what is actually happening and become witnesses to how incredibly quickly things can spiral out of control. The two friends are faced with a journey across Paris to try and find their friends and check out just what their chances of returning home really are. Of course there’s much more to it than that. Nobody really knows what’s going on, has there been an extinction level event? Conjecture seems to point in the direction of a large comet colliding with the planet causing a massive cloud of dust and dirt which blocks out the sun and which will eventually fall back to earth, this to be followed by searing temperatures and ultimately a new ice age! Not much to look forward to there then. On top of which people are panicking and/or turning to violence in their fear. And, as if that wasn’t enough something else seems to be stalking the streets – strange pale people, fast and strong who can invade your thoughts and manipulate your feelings and fears. To break it down. There isn’t any world building necessary here. It’s Paris in the current day and age. This isn’t an alternate setting or a futuristic one. So, easy to picture and no need to elaborate further. The people – well, again, probably not the strong point of the book. Not in terms of me having any problems with them but more they’re not really the main focus either although that being said it is interesting to watch them start to pick at each other as their veneer of politeness wears thin and it’s also interesting to watch not just the friendships as they begin to unravel but also the dawning of realisation when a person’s true character breaks to the surface. I guess being in a life or death situation will without doubt clarify who your friends really are. The plot is the key to this story. It moves fast and is a basic survival story and a quest of sorts. There is also an additional element to the story when Jeanie ends up taking guardianship of a newborn baby. Why you may ask? She just seems to be compelled to do so. I can see why there are comparisons to The Passage – although the stories are not particularly similar in anything other than that an unusual ‘child’ seems to have been born in amongst the chaos – perhaps a saviour of sorts. The strange others who now roam the city become known as the moribund. They seek out and kill other humans, seemingly to continue the spread of whatever infection it is they’re carrying. Like I mentioned, I really enjoyed this. It’s a zombie type novel but with a few differences. It was interesting reading the story from the perspective of two people who are now in a foreign country during a disaster and watching the reaction and negativity of the people around them as they turned from mistrust to blame. I think the story really excels at showing how the two begin to feel a little like outcasts, even the inclusion of snippets of French throughout the tale – which I suppose if you don’t understand the language gives you a good feel for how these two must feel facing that language barrier during a monumental crisis! Plus, I enjoy a good survival quest and the groups journey across Paris is definitely interesting to read – particularly as they descend to the catacombs that run beneath the City. I would point out that there are some scenes of violence – in case you’re a bit queasy. On the whole a good read, not terribly deep and meaningful I suppose but definitely intriguing and I will without doubt continue with the series. I received a copy of from the publisher through Netgalley for which my thanks. The above is my own opinion. I’m also submitting this for my RIP event over at Stainless Steel Droppings. 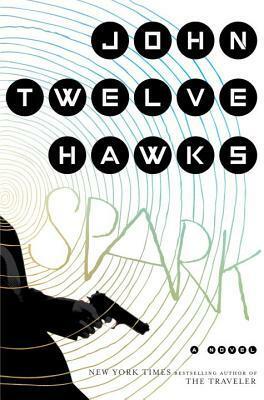 I just finished reading Spark by John Twelve Hawks. 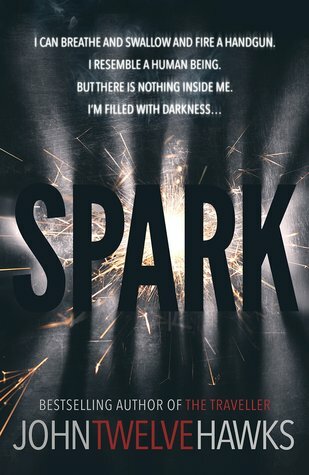 I wasn’t sure what to expect with Spark and so didn’t really start reading with any particular expectations of where I would be led, just more a sense of curiosity to find out more about this ‘assassin who believes he’s dead’! Who wouldn’t you be curious about that?? And, I enjoyed this. It’s very readable and it keeps you hanging on waiting to find out more. The main protagonist is Jacob Underwood. Following a serious motorcycle accident Jacob suffered brain damage and now has a rare neurological condition whereby he believes himself to be dead. Known as Cotard’s syndrome – as I understand it Jacob believes his ‘spark’ is now unconnected, merely contained within a human unit which needs a certain level of sustenance in order to maintain functionality. Jacob is an odd character. People usually feel afraid of him without knowing why exactly and in order to blend into society he has a few simple rules that he abides by – such as ‘wash each day’ or ‘cut your hair and nails each month’. He consumes approximately 2,000 calories in the form of a nutritional drink (as he doesn’t enjoy eating). He has no interactions with people other than his employer, quite often thinks in colour and cannot abide anyone touching him. He actually behaves sort of like a robot which is a little ironic given the world in which he lives. The setting is easy to imagine. Futuristic, urban, dystopia. ‘Nubots’ have succeeded in pushing much of the population out of jobs and onto the borderline of survival and underground movements have arisen as a result. The population are controlled massively by ID cards and surveillance cameras. Big Brother is definitely watching and on top of this most people seem to have something called a ‘shadow’ which not only provides information as and when required but also seems to become more to the user almost providing advice and frankly become a bit dictatorial for some users. Jacob works for a large banking corporation, he’s part of the Special Services division. He’s an assassin, terminating more than just bank accounts as and when required. And, he’s the perfect fit for this role. He can’t be reasoned with. He has no empathy or sympathy. He simply performs the task for which he has been engaged in the most organised way possible. There is no right or wrong or moral ambiguity. He simply gets on with the job. He has killed many people without the least doubt or regret. He is literally like a machine. He’s the terminator but with a pulse. On top of that, his belief that he’s already dead lends him a very devil may care attitude in terms of his own personal safety. Although, strangely, he loves dogs above all else! We start the story with a brief insight into how Jacob lives. Let’s say he’s not painting the tiles red here. His apartment is minimalist. He walks round in a circle which helps keep him calm and sometimes he likes to go out and walk over the Brooklyn Bridge! He has no friends and no distractions. Very simple. His employer is Ms Holquist. She’s ruthless – driven by ambition and without the excuse of any ‘syndrome’ she could be the long lost great, great, great, great niece of the White Witch! Jacob may be the killer but Ms Holquist is undoubtedly the baddie of the piece. Anyway, this is the strange thing. The writing is almost clinical. There is no flowery descriptions and the book is Jacob’s story, related by himself in an unemotional and honest way. You’d expect to be repelled by him and yet his circumstances, both past and present, give you a strange almost liking of him. It’s odd to get my head around to be honest. He’s basically a killer so I would expect to really dislike him and yet I find his other associates and Miss Holquist a lot more repugnant (probably because he doesn’t take any job satisfaction from his work whereas they do). And, I wanted things to change for him. I wanted him to have a chance. Odd, but there you go. The actual plot of the story starts when Miss Holquist discovers that Jacob is capable of more than she originally believed. She’s going to expand his remit to take on more, however, there’s a reason for the saying ‘if it’s not broke, don’t fix it’! And so starts the story. This is just simply a compelling read. You start the story just wanting to know what happened to Jacob and from there onwards it becomes difficult to put the book down. On top of that you end up feeling for a character that you never imagined you would do which is very clever of the author I think! I didn’t really have any criticisms although I would point out that there are a few scenes of violence and torture – it’s not over the top or gratuitous but just be aware is all. Submitted on Goodreads and also as one of my reads for Stainless Steel Droppings RIP event – it’s certainly dark enough to make that list! Just finished reading The Broken Road by Teresa Frohock which is a cunning novella in that it manages to combine urban fantasy and horror and bring to the fore two completely different and fascinating landscapes. I loved the idea of this, it just seems to turn things on their head and not follow convention at all. We start the story in a fairly easy to imagine fantasy setting, a sort of mediaeval faux France if you will, where a Prince and his friend have come upon an effigy of a dead God (resurrected by the low born) and is the scene of a fairly recent sacrifice. This is the first portent of trouble to come. Travys is the young prince and in a world where a person’s voice is the conduit of magic he is greatly disadvantaged to say the least by being born mute. The Chanteuse noble born are gifted with magic which they use to keep strong the threads that separate the land of Lebhet from that of Heled. The nobles, however, have become spoilt and lazy spending their time behind the walls of the Palace. They’ve become vain and deceitful and petty rivalries and court politics have taken a front seat whilst the protection of the people they rule takes a poor second place. Meanwhile the woods and forests become the home to monsters who lurk in the dark as the threads weaken. Now, this is a difficult book to write a review for because it’s only fairly short – a novella at just over 100 pages (I think??) so basically it would be really quite easy to spoil the plot for other readers. Basically, Travys is going to have a little bit of a rude awakening in a very dramatic fashion. He will become only too aware of the potential threat posed to his home and in order to do anything at all to prevent this trouble he’s going to have to put himself in the very heart of the last place he wants to be – Heled. So, instead of ruining the plot, and the surprise that is involved in discovering Heled, I’m going to focus on other elements of the book. We have a simple but intriguing magical system that is not only quite unique but also helps you to gain a better understanding of Travys – simply in that he’s always had to struggle against the odds and use his own creativity in order to keep his tenuous foothold and survive in this duplicitous society. Oh, also, did I mention that Travys has a twin brother – a brother who is more powerful with a rich and varied voice and his own ‘set’ of supporting nobles? In terms of pacing we kick off to an immediate start and from there the story moves forward at a rapid pace. I admit that I was hooked and read this almost in one sitting as I was desperate to know what was going on. I certainly didn’t succeed in second guessing anything and I admit I was very surprised when we finally got to read about Heled. On top of that Frohock has a beautiful narrative voice which paints vivid pictures of the landscape upon the imagination and then fills them with chilling scenes from a nightmare of horrors. 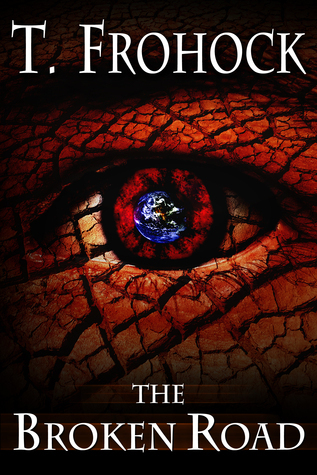 Nothing bloodthirsty or dripping in gore – just plain goosebump-invoking chilling. Where criticisms are involved I only have one and I don’t think I’ll be alone in this sentiment – this book could definitely have been longer. And, literally, I mean that in the nicest possible way and not as a critic of short stories or novellas. There is just so much to be explored here that I feel that the number of pages could have been doubled and would still have felt short! Yes, I wanted more but more than that this particular story could support it. As it is I feel like I’ve had a snapshot into Travy’s world and whilst I don’t particularly want to join him in Heled (even if I get to carry a flamethrower) I will gladly take a few more glimpses – which, given that the Broken Road is also No.1 of the Frayed Empire seems highly likely!. A bold and unconventional novel – plus just take a look at this cover if you like a bit of deliciously creepy! I’m submitting this as one of my reads for RIP over at Stainless Steel Droppings. Check out the details here.